For 50 years, UConn Health has responded to our community’s needs for dedicated physicians, dentists and other health care professionals, quality care for all, and cutting-edge research that brings tomorrow’s cures within reach. Your continued support will ensure that UConn Health remains at the forefront of biomedical advances. Philanthropy is vital to the success of Bioscience Connecticut and achieving UConn Health’s promise to be an economic driver for the state of Connecticut and a leader among public academic medical centers. Philanthropy touches all areas of UConn Health’s mission—clinical care, research, academics and public service. Every gift, no matter the size, makes a difference in the lives of our patients and their loved ones, as well as our faculty, staff and students. 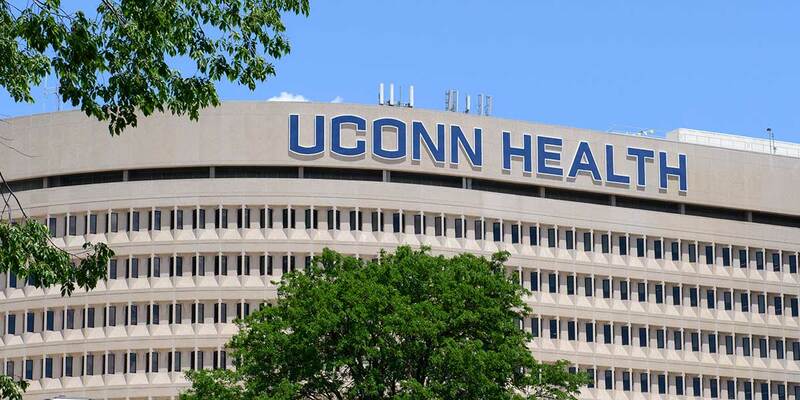 Naming opportunities are available throughout UConn Health in the new patient tower, renovated research facilities, business incubators and academic facilities. You may name patient areas, surgical suites, conference rooms, visitor lounges, laboratories, classrooms, and much more. Private support is essential to recruiting the best talent from the region and beyond. Student scholarships, chairs, professorships and faculty awards enhance our academic programs while raising the national profiles of the School of Medicine, School of Dental Medicine and Graduate School. We have great aspirations for tomorrow. Together, we will shape UConn Health’s future. For more information about making a gift to support Bioscience Connecticut and UConn Health, please contact Abbie O’Brien, director of development, at 860-679-4524 or aobrien@foundation.uconn.edu.